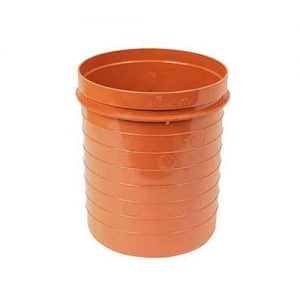 We keep a large selection of bathroom traps and kitchen traps for every need. Everything from, bottle traps, P traps, S Traps, Anti-vac Traps to Running Traps are available. We stock two brands (Polypipe & Viva) to ensure that we can offer solutions to any need that may arise. 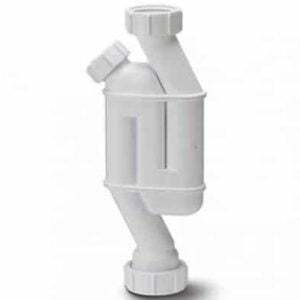 We supply a wide and comprehensive range of waste traps, including anti-syphon units and universal flexible wastes, to fit applications from bathrooms to wetrooms and kitchen sinks to washing machines. 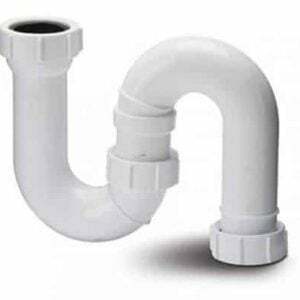 All water using fixtures and appliances inside a house must have a water trap in the waste pipe to offer a water seal into the drains or air, this prevents smells, bacteria and insects entering the property. 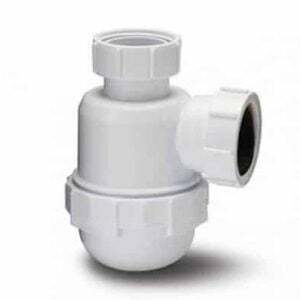 Most modern waste plumbing (apart from W.C.s) utilise either 32mm (1.25 inch) (for hand basins) or 40mm (1.5 inch) (for sinks, bathrooms, showers, dishwashers, washing machines) plastic pipe and fittings (including traps); pipe runs over 2m (6 feet) can use 50mm (2 inch) diameter pipe to avoid syphon effect once the waste is used. 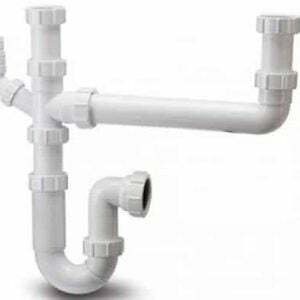 The sizes quoted are the internal pipe dimensions (and also the waste outlet in the sink/basin/bath etc), the outer diameter of the pipework does vary between different producers thus pipes and fitting may not be interchangeable. One of the most important aspects of waste water traps is the thickness of seal. 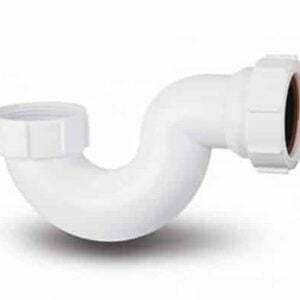 Typically the waste pipe fits to the trap by a screw coupling (with a compression seal ring) or a push fit 'O' ring coupling - there is not much to pick between the two types. A trap, of any sort is utterly useless on its own, its not untill it has water in it that it becomes useful. The water sits in the U bend where it creates a congestion for gas trying to get back in the room. If it manages to get back up a pipe it could, were it not prevented, get back in the room from where it came! As you might imagine a lot of toilet and bathroom waste contributes to a great build up of foul gas and the gas attempts to escape back up the pipes or through another aperture it can get through. 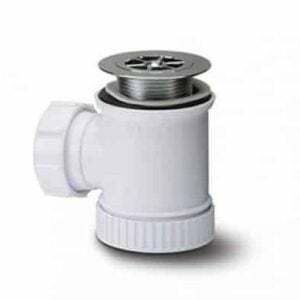 All waste gives off gas and when you flush the toilet or drain the sink or tub, the water disappears out of your house to connect somewhere outside with the main drainage. 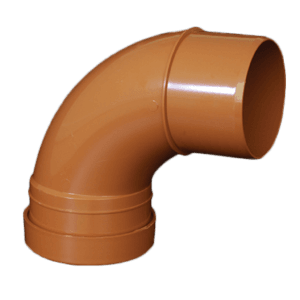 The drainage that deals with everything except rain water is called foul drainage, and every foul drain pipe ends up in a foul water guy hole or inspection chamber. 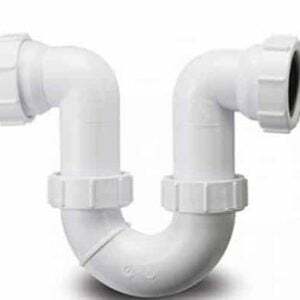 The water will sit just below the level of the socket bend (seen in the picture left where it says, waste out) until more water is introduced from the incoming pipe. 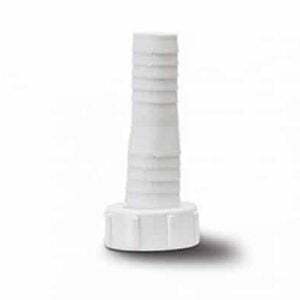 The incoming water will replace the water in the trap and push it out of the socket. This principle works on all traps. 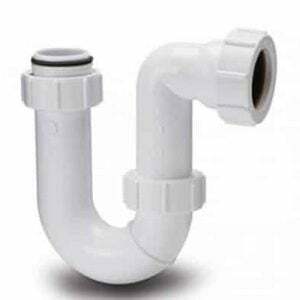 The dimensions quoted for pipework is that the inner pipe dimensions - similarly the dimensions quoted for the waste outlets from the basin/sinks/bath etc), also refers to the inner size of the connecting pipe. The outside diameter of pipework does vary between different producers - this means that pipes and fitting from other manufacturers might not be interchangeable.